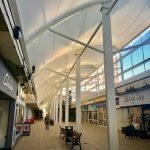 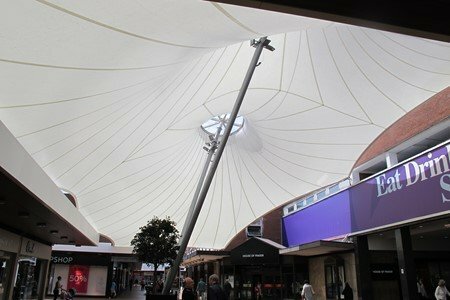 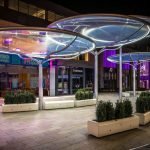 As part of a series of installations at Swindon Designer Outlet Village, Fabric Architecture supplied this large-scale ceiling panel with integrated lighting to sit above the temporary relaxation area, created for customers during the festive season. 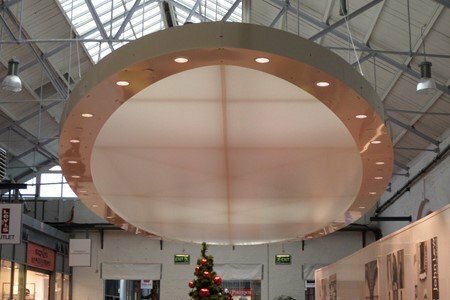 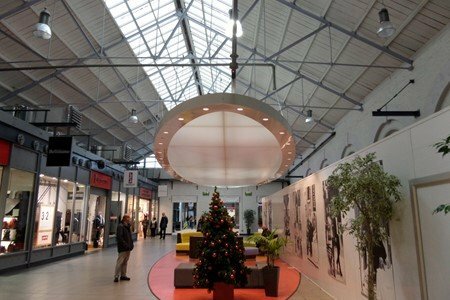 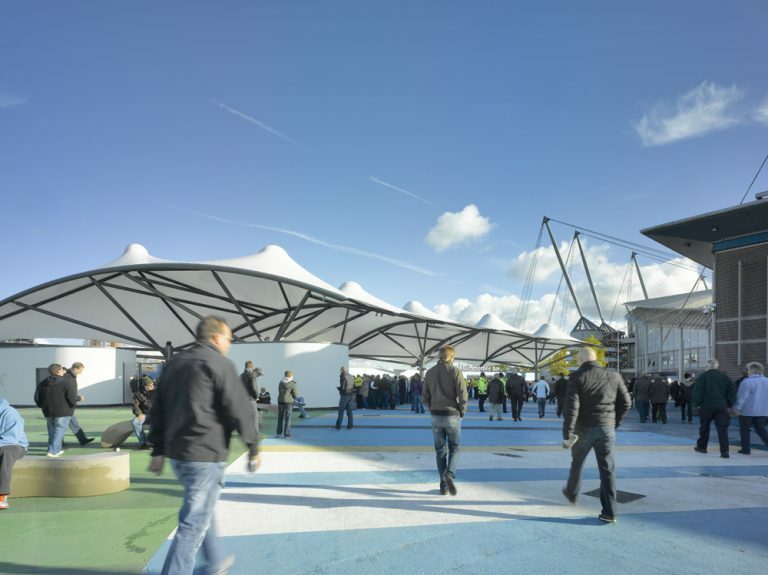 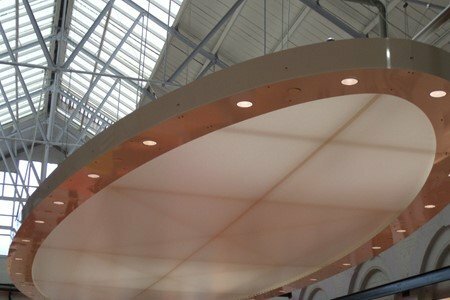 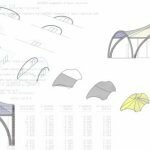 Suspended from steel joists inside the roof of the retail space, the 5.5m wide by 17.6m long oval panel featured recessed lighting with gel filters to create various visual effects. 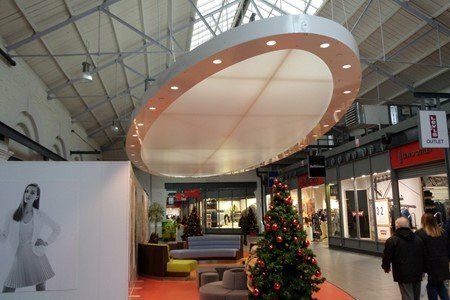 The panel was a way of naturally ‘zoning’ a seating area for those who did not wish to shop til they drop, over the Christmas retail period. 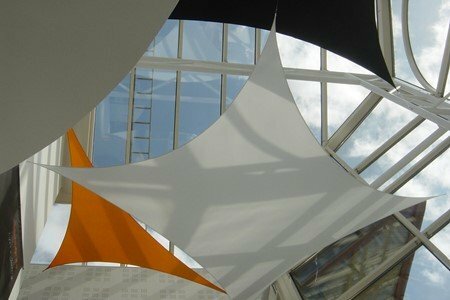 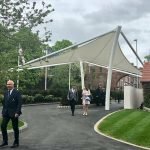 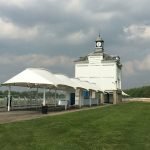 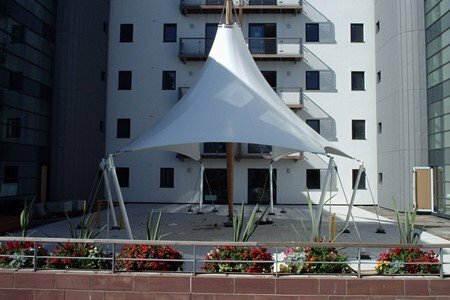 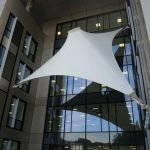 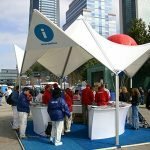 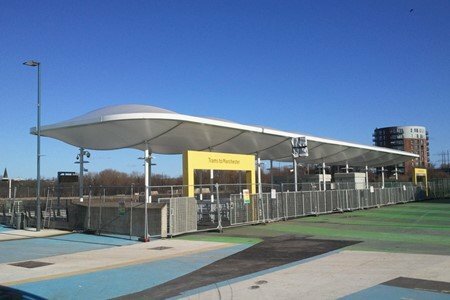 Made from a lightweight aluminium frame and containing an environmentally-friendly, high light-transmission woven glass fabric, the panel was simply and quickly lifted into position using minimal equipment and with no disruption to retail opening hours. 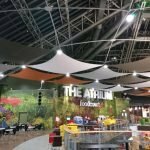 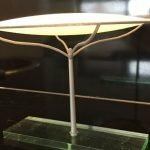 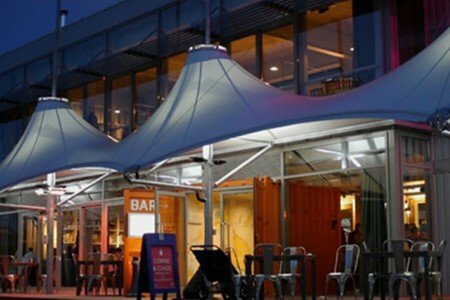 Although the relaxation zone was a temporary feature whilst ongoing development works were carried out, the architectural lighting panel has remained a permanent feature at McArthur Glen’s Swindon Designer Outlet.